Symphotic TII Corporation now offers Digital Edge DVR products: the most advanced and flexible professional dive and ROV digital recording systems. Our customers are among the most sophisticated ROV users in the world. But inspection class ROV and work class ROV jobs require some customer deliverable for the end user. 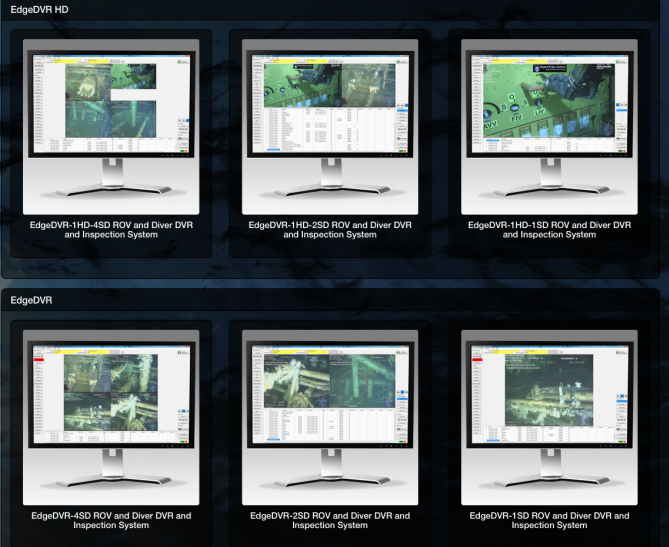 The EdgeDVR systems allow recording of video, digital overlay, and comments in real time, with minimal or no post processing. The final product is a hard drive that can be delivered to the customer. DVRs are available for standard video, HD video and multiple camera applications. Contact us now to arrange a product demonstration.